All around the world, particularly in India and Pakistan, people mostly watch films for entertainment. Films that are smartly written and well directed are always liked by audiences. On the other hand, filmmakers who try to stuff messages in any film without the entertainment quotient usually end up falling flat on their faces. In both Pakistan and India, Eid is always a great occasion to release a film that is backed with some good content and has any known celebrity in it. This Eid has been a busy affair for Pakistan, with multiple domestic releases dominating the conversation. 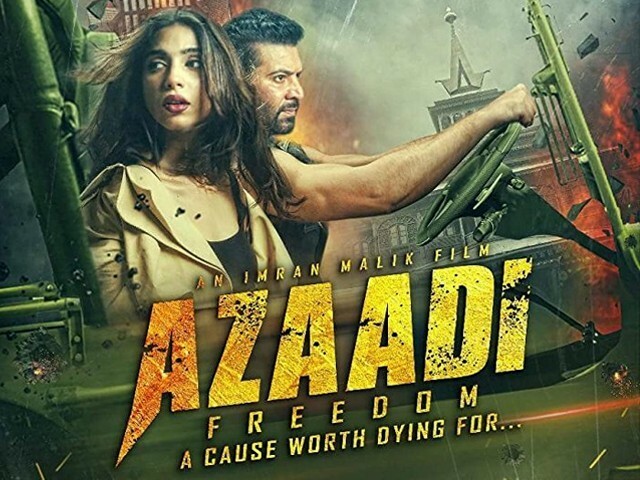 One of these much-talked about films is Azaadi, being termed as Moammar Rana’s comeback film (he was last seen in Saya e Khuda e Zuljalal, which bombed at the box office). Azaadi also features Nadeem Baig and Sonya Hussyn in pivotal roles. It goes without saying that Kashmir is a very sensitive topic for Pakistanis, and Azaadi revolves around the lives of Muslims living in Kashmir. It tries to tell the story of what Kashmiri Muslims have to live through on a daily basis. Zara (Hussyn) lives in London, and is in love with and wants to marry a man called Raj. However, one day Zara finds out she was married to her cousin Azaad (Rana) when they were just kids. She fails to recall this event and leaves for Indian-occupied Kashmir (IoK), where Azaad’s family resides. Once in IoK, Zara gets to know that Azaad has joined a freedom fighting force and is fighting for the liberation of Kashmir. Zara’s only motive to visit IoK is to get divorce papers signed by Azaad, but what happens next doesn’t go according to her plans. A potpourri of romance, patriotism, action and drama – that’s Azaadi in a nutshell. Rana looks fatigued in every scene. He must have worked really hard on his physique and muscles, but the soul is missing from his performance of Azaad. 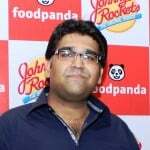 Rana’s heavy voice tries to present convincing arguments that the audience simply fails to connect with. Not only do you not empathise with Azaad’s character, his fighting sequences are pathetically choreographed as well. Hussyn, on the other hand, looks like a “model” walking, jogging and dancing in a tensed Kashmir. Given the background the film is set in, her character’s behaviour simply doesn’t make sense. As Azaad’s father, Baig is given a very strong role backed by some amazing dialogues, but it falls a bit flat upon impact due to the poor way the film is shot. As a veteran and legendary actor, you can see Baig giving his best to a film he is too good for. After all, if a film falters on direction and execution, the actors cannot be blamed. The direction is perhaps where Azaadi is at its weakest. There are a few good scenes here and there, but in totality the film is lengthy, weak, dull, and simply unbelievable. How can you expect six people to believably fight against an entire army in IoK? We are no longer living in the 90s in order to easily believe this stretch. Plus, there’s no conviction in the story which makes one believe, even for the tiniest fraction of a minute, that Azaad’s team of six has the potential to pull off a feat that belongs in the Mission Impossible series or in The Expendables. The biggest obstruction to the believability of Azaadi’s narrative is the diction of every actor. From the main leads to the supporting cast, none have worked on the dialect for their roles. Let me share a relatable example here. Haider, featuring Shahid Kapoor and Tabu, was also based in Kashmir. However, the way they delivered their dialogues was as per the native language of the region. In Azaadi, it seems as if Gujjars and Memons are trying to enact the dialogue as Kashmiris. The film is a total waste on many grounds – a patriotic film which fails to resound with its target audience. A film that should have had an abundance of action and impressive stunts offers nothing but a mockery of action scenes. Azaadi is thus a tasteless entertainer which will get on the nerves of its viewers; it isn’t easy to bear a two-and-a-half hour film which lacks content, script, performances, action and entertainment. I’ll give Azaadi two stars – and even that seems generous. I don’t see any reason for people to spend Rs700-1000 for a film like this. For multiplexes it’s a definite miss, and for single screens it can perhaps pull some crowds, but only because of what’s left of Rana’s fan following and what’s beginning to be Hussyn’s fan following. There is literally nothing else.